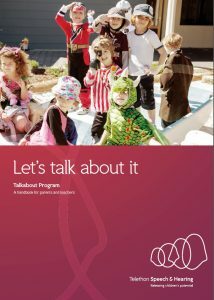 Let’s talk about it is a parents and information book developed by Telethon Speech & Hearing to help parents on their journey with their child’s speech and language development. Click here to view or download our handbook, Let’s talk about it. The Pilbara Ear Health Model of Care is the culmination of a collaborative inter-agency process for a localised model of care to improve ear health and hearing services in the remote Pilbara area of Western Australia. The Model includes best practice principles across multiple disciplines and agencies, workforce guidelines for different professionals, referral pathways for better outcomes, and resources to support the work. 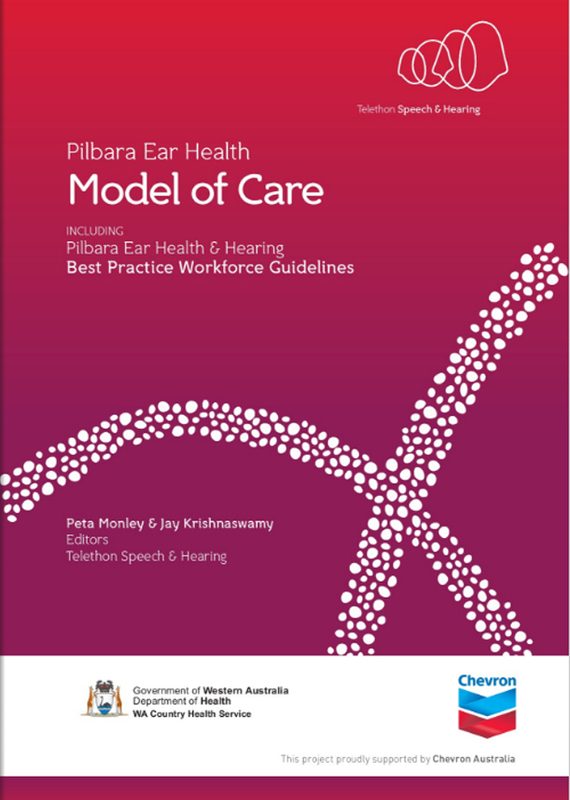 Click here to view or download the Pilbara Ear Health Model of Care. In Aboriginal Australian culture, storytelling makes up a large part of everyday life. For thousands of years Aboriginal knowledge, heritage and laws have been passed on through stories and songs. 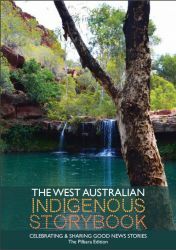 The West Australian (WA) Indigenous Storybook goes some way to retaining and disseminating some of these stories, which can now be read in our books as opposed to the more traditional stories that were once only spoken. The Public Health Advocacy Institute of WA (PHAIWA) has now produced nine WA Indigenous Storybooks, the most recent focusing on the Pilbara region of WA. Hard copies of our Annual Reports are available by contacting Telethon Speech & Hearing on (08) 9387 9888 or speech@tsh.org.au.